These cupcakes were made for our former swim buddy, AJ. 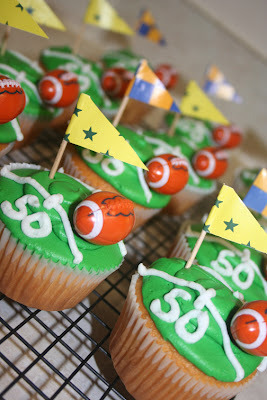 AJ turned 1 recently and his mom requested these football themed cupcakes! 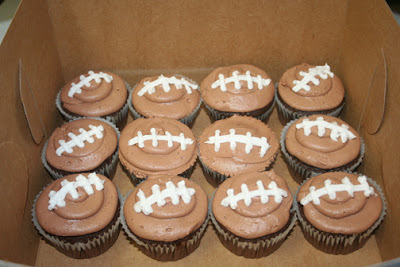 The cupcakes decorated like footballs are chocolate with chocolate buttercream and the field cupcakes are vanilla with vanilla buttercream! Loved making these, they were a blast! I hope AJ enjoyed them as much as I enjoyed making them!